Follow the circle from the eye to the hand. spy_land is an interactive community like jjverse . Team CIA, Team KGB, and Team MI6. Land comms like this one are responsible for most of the content in this community. It can be very inspiring and it's a lot of fun. scifiland is an interactive challenge community a la jjverse for scifi shows including The Pretender. 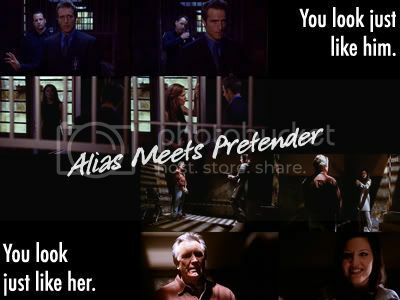 I'm planning to start rewatching The Pretender soon and, since I've watched most of Alias quite recently, some sort of compare and contrast thing is definitely in the works once I get past a few deadlines. So, as the title says, watch this space, because after five years, I am finally going to make something of this community. 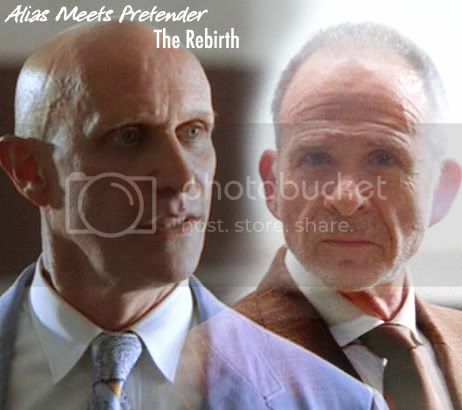 Collecting all the Alias/Pretender connections has been a dream of mine since I started watching Alias way back in 2001. Come join jjverse, we have CAPSLO--er... cookies! 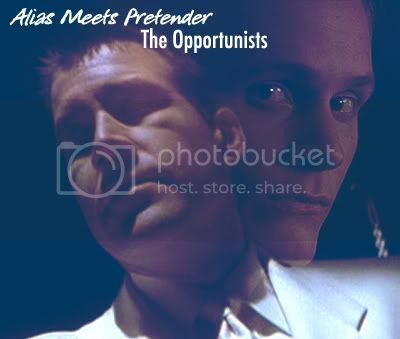 This is the grand opening of the Alias-Pretender Connection! hjsnapepm — Calling all scifi fans. hjsnapepm — Watch this space. hjsnapepm — Come join jjverse, we have CAPSLO--er... cookies!